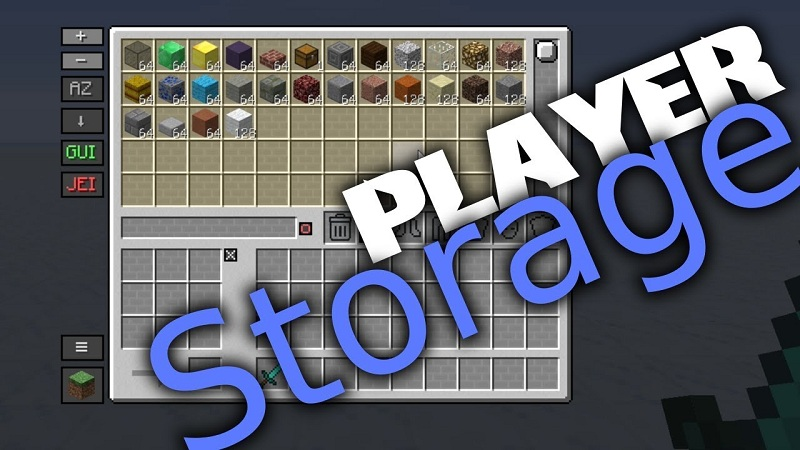 Player Storage Mod 1.12.2 adds an additional storage for items and fluids next to your normal inventory. It is expandable and offers many features you may know from mods like Applied Energistics or Refined Storage (searching, sorting, etc). 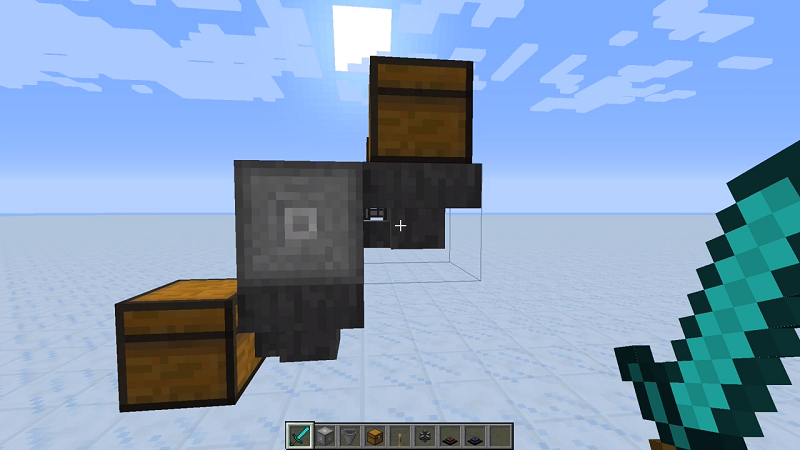 How to use: To open this inventory press your normal inventory key (can be disabled) or key ‘I’. 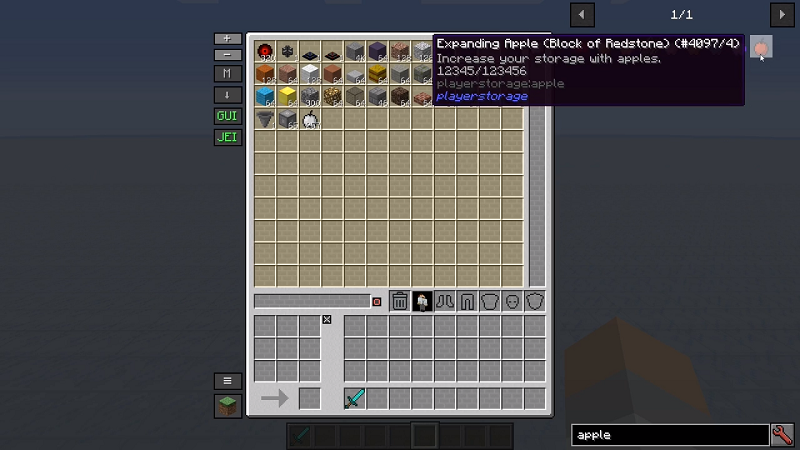 Apples: There are some new apples that will increase your storage when eaten. 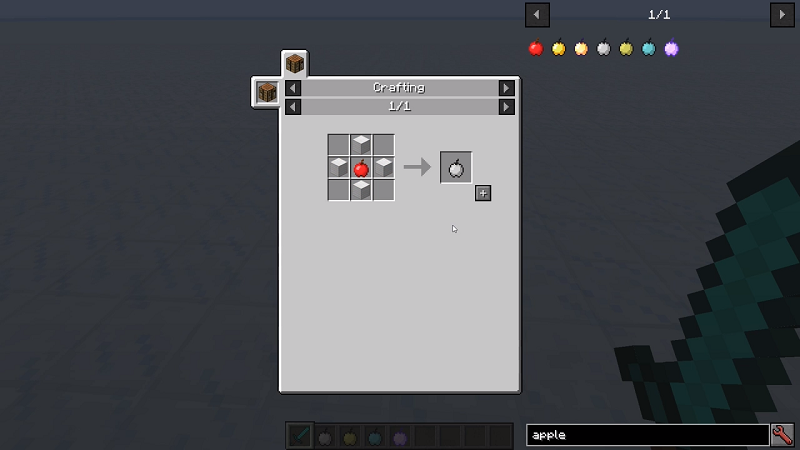 These apples are adjustable in the config file. JEI-Compatibility: Synchronized search and recipe transfer. 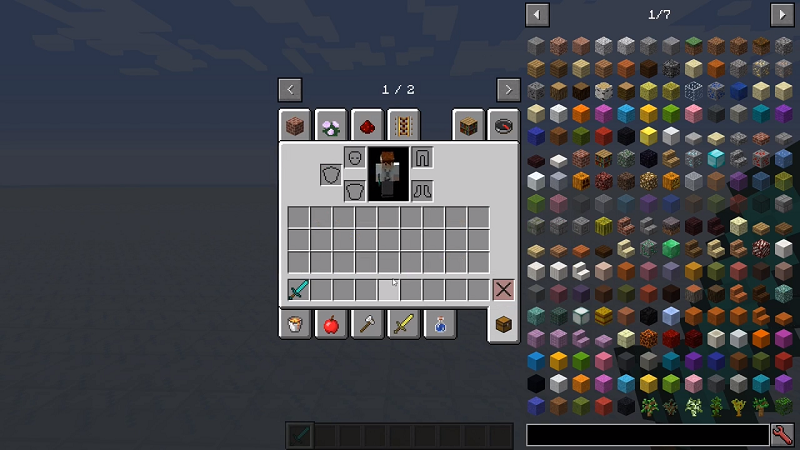 Auto Pickup: Picked up items can be inserted automatically into your storage. 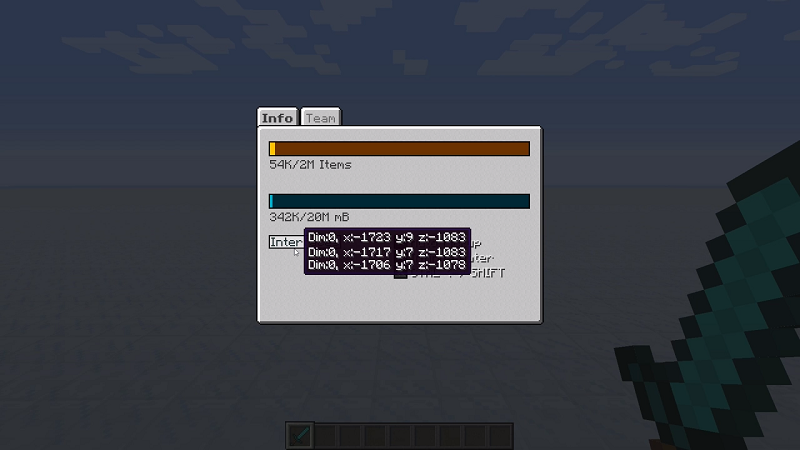 Limitations: You can set limits for specific items/fluids hence they won’t fill up your storage. Click middle mouse button while hovering over an item/fluid. 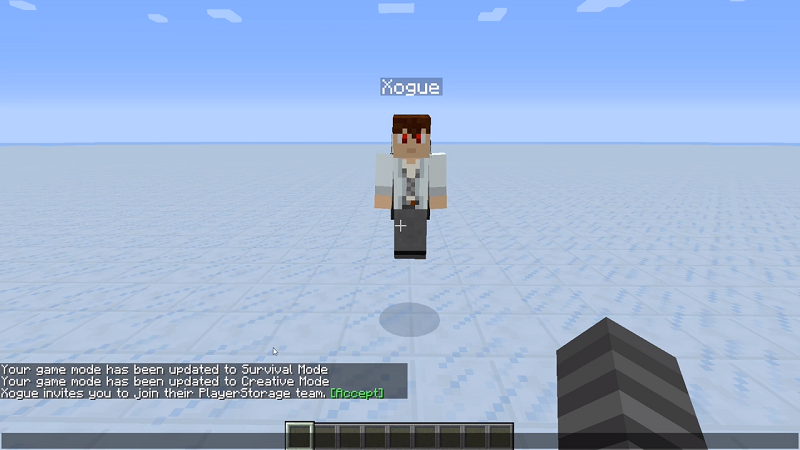 Team: You can team up with other players to access their inventories too. Interface: A block that connects your storage with the world. 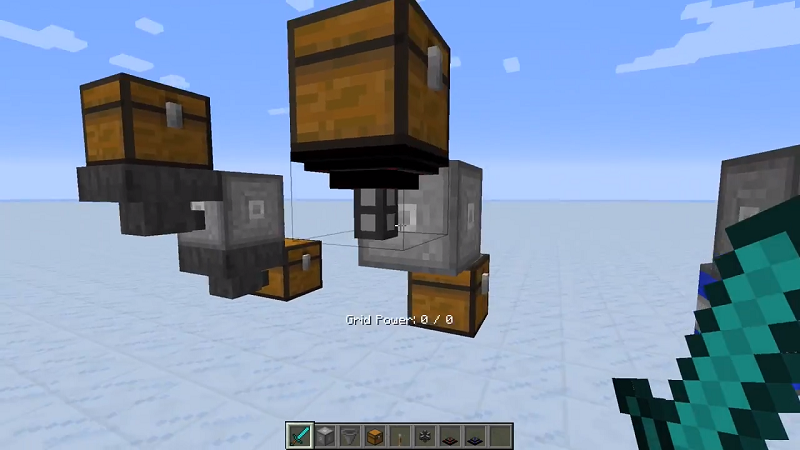 Insert and extract items/fluids with a hopper or any other transporting blocks. 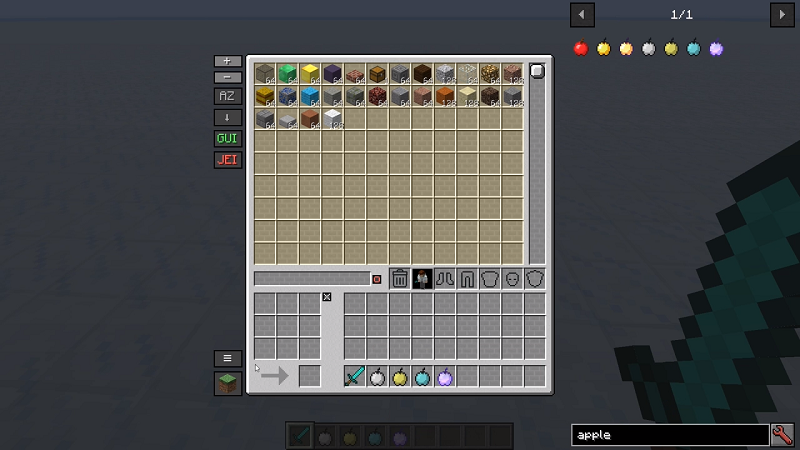 Make sure you have already installed Minecraft Forge and LimeLib.